Want to crucify your iPad? Logitech has you covered. Did nobody in their design department stop and think “uhh guys, that may not be the best design to go for.” Or is it just me who sees this? ← Previous Previous post: Ferries and underground railways!! … But why? Next → Next post: 17 years ago, Citylink ads claimed it’d fix our traffic problems. Surprise! It didn’t work. Does it come with long nails? It’s for all the Apple worshippers. 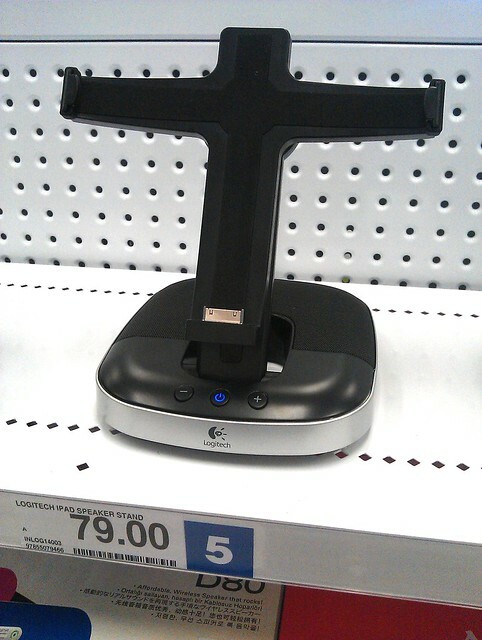 Put a picture a Steve Jobs on their iPad, the iPad on this stand, and the religion is complete. It Needs INRI at the top…which of course means I’m Nailed Right In. I was already headed to hell, that neither helped or hindered.